Sonex is one the world's most successful kit aircraft producers and they do it all. Sonex makes several interesting airframes and we'll have a look at them. Yet first we'll have CEO Jeremy Monnett show us around their AeroVee engine. They sell kits, and the engine is also a kit, not that it takes too much time to assemble. Hear all Jeremy's advice about powerplants and airframes from the Oshkosh, Wisconsin company that does it all and very well. Sonex is one the world’s most successful kit aircraft producers and they do it all. Sonex makes several interesting airframes and we’ll have a look at them. 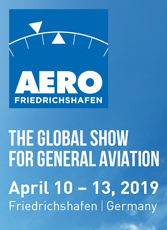 Yet first we’ll have CEO Jeremy Monnett show us around their AeroVee engine. They sell kits, and the engine is also a kit, not that it takes too much time to assemble. Hear all Jeremy’s advice about powerplants and airframes from the Oshkosh, Wisconsin company that does it all and very well. Author Murry Rozansky did a fine job of evaluating the Xenos but since I had the chance to go for a late-in-the-day flight with Jeremy Monnett, I wanted to add just a few words on the company's motorglider. The soaring pilot in me just had to see how the long-winged version of the Sonex felt aloft. After landing with John, I flew with son, and Sonex general manager, Jeremy, in the company's Oshkosh-based Xenos. The one Rozansky flew is based in Tehachapi, California with Sonex engineer, Pete Buck. The Wisconsin Xenos used the same AeroVee engine as the Waiex whereas the Xenos out west is powered with a Jabiru 3300. One notable difference is the ailerons, which have much more span and much less chord than the Waiex. And naturally, a long gliding machine like this adds spoilers to the control mix. As we taxied out, Jeremy tended not to use the brake; he just retarded the throttle, which seemed to slow down taxi speeds quickly. When you deploy the spoilers fully, you begin to activate the brake. And, conversely, when you activate the brake you're deploying the spoilers. It's a coordinated system that also simplifies the cockpit controls. With temperatures slightly higher than standard atmospheric, initial climbout off the runway was about 700 fpm at 55 mph. The noise level seemed similar to the Waiex. It was too late in the day to sustain altitude as I'd seen Jeremy doing when he was solo and I flew with John in the Waiex. The low sun was also not going to allow a long flight. But when the Oshkosh tower cleared us to land, we were well out over the huge Lake Winnebago and Jeremy suggested we shut down the engine. I was delighted. Suddenly the peaceful quiet allowed me to hear the sound of air whooshing by the canopy. We glided easily for several miles of pattern entry and set up for a landing without anxiety. All this occurred from the rather low starting altitude of about 2,300 feet AGL over the lake. It's one reason why some power pilots like motorgliders. The can explore soaring flight and still have a big safety margin if the engine should fail during a motorized trip. Once on the ground, Xenos taxies easily and we returned to the Sonex campus with no more effort than a conventionally winged aircraft. Flying with Jeremy for a half hour completed my tour of the current Sonex lineup. All I can do now is hope for a longer ride in Xenos during some real soarable conditions. Author Murry Rozansky did a fine job of evaluating the Xenos but since I had the chance to go for a late-in-the-day flight with Jeremy Monnett, I wanted to add just a few words on the company’s motorglider. The soaring pilot in me just had to see how the long-winged version of the Sonex felt aloft. After landing with John, I flew with son, and Sonex general manager, Jeremy, in the company’s Oshkosh-based Xenos. The one Rozansky flew is based in Tehachapi, California with Sonex engineer, Pete Buck. The Wisconsin Xenos used the same AeroVee engine as the Waiex whereas the Xenos out west is powered with a Jabiru 3300. One notable difference is the ailerons, which have much more span and much less chord than the Waiex. And naturally, a long gliding machine like this adds spoilers to the control mix. As we taxied out, Jeremy tended not to use the brake; he just retarded the throttle, which seemed to slow down taxi speeds quickly. John Monnett demonstrates the Waiex over Wisconsin's Lake Winnebago, a familiar landmark for anyone who's flown to Oshkosh AirVenture. Raring to go is one way to describe the lively Waiex. This particular one has acquired the nickname Yellow Jack. The Waiex gets its name from its Y-tail: a pair of surfaces called ruddervators to handle pitch and yaw control as well as a stub rudder (inset), which moves in concert with the appropriate rudder pedal movement. Designer John Monnett actually conceived the ideas for the Xenos motorglider (front) and Waiex prior to the Sonex, which the company has offered for seven years. The demonstrator Waiex is powered by an 80-hp AeroVee engine; using this flexible dipstick, you can check for oil without having to open any cowling doors. Aside from the Y-tail, everything else on the Waiex is identical to the Sonex, the company's better known kit airplane. Pedal to the Metal The Y-Tail Waiex combines unusual style with refreshing speed. The airlines may be suffering and Light-Sport Aircraft (LSA) has yet to coalesce into a coherent industry segment, but Sonex Ltd. is having a fine run of business. During my visit on a beautiful fall day in Oshkosh, Sonex said it was ready to break ground on a new hangar, the third building of what has become the Sonex campus on Wittman Field. At press time, it was nearly complete. Sonex is clearly ready for LSA, but the company has built its enterprise on delivering kits to the Experimental/ Amateur- Built community. Steadily selling kits keeps Sonex in good business shape while LSA comes into focus. This company is well positioned for whatever future recreational flying holds. $22,260. That calculates to an amazing $148 per mph. Most of us don't think in terms of dollars per mph-and the comparison with the RV-9 ignores the fact that the RV is larger, heavier and, as a result, more cross-country capable-but it certainly proves that the Monnett machine won't take too much of your money for the speed it can deliver. Add this to the mixture: the kit has been optimized in many ways, with laser-cut panels, much prefabricating, jigless construction and factory builder seminars that discount the kit enough to make travel to Oshkosh worthwhile. You can also choose between tricycle or conventional gear. The wings remove easily for transport. All major components are built of familiar, easily worked, inexpensive 6061 aluminum. If Light-Sport Aircraft is the direction you want to go, here's some good news: all the Sonex machines qualify. You'll have to use a different prop on the Sonex and Waiex, but they can then meet all the parameters of FAA's rule. 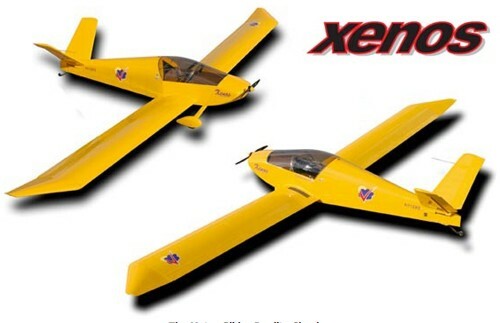 The Xenos further qualifies as a motorglider for which the FAA requires neither an aviation medical nor a driver's license. One way Sonex keeps down the cost of its models is to offer two engine choices. One is the Australian-produced Jabiru. The four-cylinder, 80-hp 2200 model costs about $10,000, close to a $2000 savings over the 80-hp Rotax 912 (and the 100-hp Rotax 912S is about $3000 more). For about $14,000, you can go with the six-cylinder, 120-hp Jabiru 3300. This is more power, however, than you'll need if you choose to stay within the speed limit of the LSA category. But the best powerplant bargain is the AeroVee kit engine. 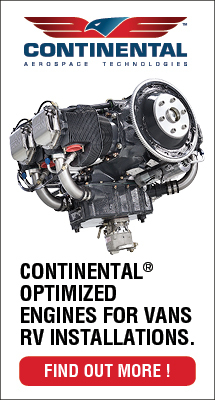 This son-of-a-Volkswagen dual-ignition powerplant starts easily, runs at engine revolutions familiar to most general-aviation pilots and costs a modest $5695. I repeat that it is a kit-you get a DVD and/or video to help guide you through the assembly process-but this is certainly a way to keep the price tag from spiraling out of control. Incidentally, Sonex is the worldwide distributor for AeroConversions, manufacturer of the AeroVee. 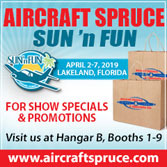 At a time when some high-end LSAs are on the market for close to $90,000, Sonex is doing the sport flying community a great service by selling a worthy series of aircraft at highly affordable prices. Let's Fly the Waiex After Monnett thoroughly twisted my arm (yeah, right! ), I decided it was time to go aloft. He rolled the Waiex out using his clever tailwheel tow rig. It grasps the tailwheel axle and lifts it a few inches off the ground. Either Monnett has been hitting the Nautilus machine or this rig helps move the Waiex (and all other Sonex taildraggers) pretty easily. Our evaluation airplane was equipped with the 80-hp AeroVee engine. Pipes left the fuselage amid flame decals. It has a Beetle sound to it, which may warm the hearts of some previous owners. We hopped in and closed the canopy latch using a safety pin for additional security. Before the engine start and runup, we placed the brake lever in its park position. The AeroVee uses a redundant, solid-state ignition system independent of the electrical, and it was checked on the first switch position while an electronic system was on switch position two. Openings on each side of the canopy draw in fresh air. They worked well even in taxi, which is good because the aircraft's clear canopy offers no sun cover. It does, however, make spotting traffic child's play. As soon as you start to taxi this taildragger, you notice something different, something less sloppy than is often associated with tailwheel-steered aircraft. Pay thanks to a solid linkage from pedal to tailwheel, versus the more common cable-to-spring linkages with their spongier feel. This setup helps reduce the need for the "dancing feet" technique needed to land some tailwheel aircraft without getting into a ground loop. With this solid linkage, Monnett says, you operate the aircraft more authoritatively. I liked it so much I wondered why more designs haven't employed this method. Because it's a taildragger, you will need to move the Waiex's nose somewhat for taxi visibility; the need wasn't great, however, as I could almost see directly forward by moving my head. We taxied out to the active at Wittman Field. (It always seems strange to fly at this airport without the torrent of activity I'm used to during Air- Venture.) We were quickly number one-we rolled onto the runway, straightened out and opened the AeroVee's throttle fully. Waiex Is For Y-Tail We can see you fighting the name with all those vowels hung together. Don't say "WAY-ex." Say "WHY-ex," and the name immediately makes sense. That may seem new, but, except for its namesake Y-shaped tail, everything else on the Waiex is identical to the Sonex model the company has sold since it began in 1998. 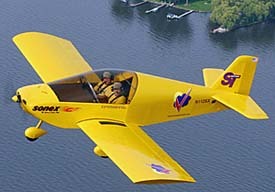 I flew the company's bright yellow Waiex with designer John Monnett. Many earlier builders and enthusiasts know Monnett for his Monerai, Moni, and Monex Racer, all of which share the Y-tail. 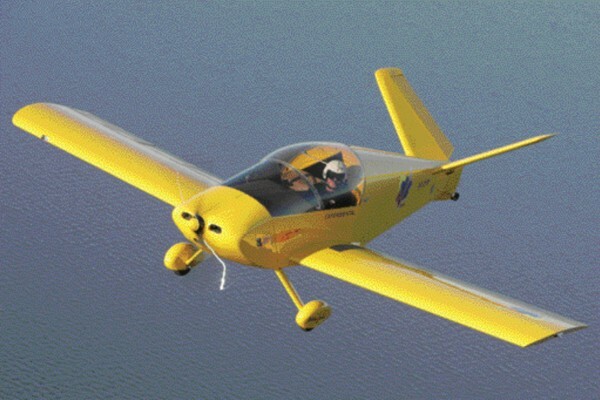 "The Waiex is actually the airplane we had in mind even before the Sonex," Monnett told me. In addition to a Bonanza-like control system-on the splayed portions of the tail, a pair of surfaces called ruddervators handle pitch and yaw-the Waiex includes a stub rudder at the furthest aft section of fuselage that moves in concert with the appropriate rudder pedal movement. Using the fuselage this way is a Steve Wittman design technique, Monnett said. It is a nice touch from an aerodynamics viewpoint but Acceleration was brisk, a credit to the light weight of the aircraft. In a few hundred feet, we rotated and left the ground. Takeoff roll near maximum-gross weight is about 600 feet, Monnett indicated. While the Waiex can zoom to pretty high speeds, it works well at low speeds; we had lifted off at about 55 mph. The Waiex trim system is different partly owing to the Y-tail. A rotating knob is fitted just to the left of the throttle, and it sets a bungee cord system on the joystick. In this way, the Waiex works like some ultralights that also bungee-load the joystick to provide relief to the pilot. By a rotating motion, you adjust the center position of the bungees. It may not sound as slick as a trimtab, but it did the job. As we flew around in slower flight ranges, we explored the flap system. The Waiex uses a two-position flap lever (15° and 30°) plus a neutral position. On landings later, I would find the second position to be plenty; the aircraft does not need more flap than it has. But Monnett wanted to show off the considerable speed of his Waiex. He also wanted to go hunt for his son, Sonex General Manager Jeremy Monnett, who was out flying the Xenos. Being a soaring enthusiast and hoping for a flight later in the long-wing Xenos, I was equally interested in seeing the motorglider in flight. During the hunt, we relied on the Stratomaster Ultra electronic information system, which weighs less than 2 pounds. This is an "ultralight industry" instrument from South Africa that combines flight and engine instrumentation and portrays the readings in both digital and analog formats. (The system costs around $2500 with the attitude module and all sensors for a four-cylinder engine.) Monnett had also installed a TruTrak Flight Systems Digitrak autopilot, which weighs a mere 5 pounds. With Monnett next to me in the 40- inch-wide cockpit, I found it a little crowded; neither of us is particularly large. We were touching slightly, and I was also bumping the canopy. Two big fellows would be tight, but as Monnett feels and as surveys have revealed, most two-seat aircraft are flown solo. Gone Flying...Fast Sonex says the maximum climb rate while solo is about 1200 fpm, and the AeroVee produced about 800 fpm near gross. During climb, the tachometer was showing about 3200 rpm. Since the engine noise at this power setting was quite noticeable on my tape recorder, I'd consider a headset essential; I didn't want to remove the one I was wearing. At a density altitude of 3500 feet, while not much below the 1100-pound maximum gross weight and flying at full throttle (3400 rpm indicated), the airspeed indicator showed 138 mph, LSA's maximum speed limit. Averaged runs back and forth using a GPS readout verified the number. The Waiex holds 17 gallons of fuel and the AeroVee burns about 4 gph, so you have 3.5 hours of endurance even with reserves. At a cruise of, say, 130 mph, that calculates to a 450-mile no-wind range. Slow flight with plenty of trim dialed in indicated 60 mph at which the nose angle was quite high. During the slow flight period, the stick remained pleasant to use with light control forces and good response. Despite the additional area of the stub rudder, the pedals felt much softer, much less authoritative at this speed, where at high cruise the rudder felt very powerful, facts John attributed to the Y-tail. Stall speeds were slightly lower than dictated by LSA, that is, about 45 mph (the rule is 45 knots or 52 mph). Stall behavior was benign. A significant airframe quiver foretold the stall onset with plenty of warning. Power-on stalls produced steep deck angles; it would be hard to miss stall entry if you have a visual on the horizon. Accelerated stalls also got to a high nose angle but rolled cooperatively to level on stall break, which was quite muted even when I stalled more aggressively. During one exaggerated effort, I managed to induce one wing to drop a bit, but the resulting bank angle was not steep. Recovery from any stall involved no more than lowering the nose. Adding power is not necessary, though perhaps advisable. Is a Waiex In Your Future? If what you've read interests you, follow up with some further research. Sonex offers a detailed literature package with informative DVDs as well as another DVD production titled "Right Seat with Tony Spicer," (order the DVD and see a preview here). 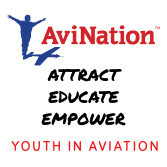 The company also holds builder workshops a few times per year that give you a chance to meet the factory staff, learn about the construction of the airplanes and build your confidence by actually completing a piece of a Sonex wing. So, no wonder Sonex is thriving: It's got the right combination of a fun-to-fly design in the Waiex along with reasonable prices, lauded factory support and straightforward construction techniques. Pedal to the Metal The Y-Tail Waiex combines unusual style with refreshing speed. The airlines may be suffering and Light-Sport Aircraft (LSA) has yet to coalesce into a coherent industry segment, but Sonex Ltd. is having a fine run of business. During my visit on a beautiful fall day in Oshkosh, Sonex said it was ready to break ground on a new hangar, the third building of what has become the Sonex campus on Wittman Field. At press time, it was nearly complete. Sonex is clearly ready for LSA, but the company has built its enterprise on delivering kits to the Experimental/ Amateur- Built community. Steadily selling kits keeps Sonex in good business shape while LSA comes into focus. This company is well positioned for whatever future recreational flying holds. $22,260. That calculates to an amazing $148 per mph. Most of us don’t think in terms of dollars per mph-and the comparison with the RV-9 ignores the fact that the RV is larger, heavier and, as a result, more cross-country capable-but it certainly proves that the Monnett machine won’t take too much of your money for the speed it can deliver. Zenith Aircraft President Sebastian Heintz says that 90% of the company's builders complete their airplanes for less than $40K. Builders of the Zodiac CH-601 usually spend a bit more money than their CH-701 (below) counterparts due to more sophisticated instrument panels and fancier interiors. The RANS S-6ES Coyote II kit ($14,700) features a Dacron wing and fuselage covering, which eliminates the need for paint-a built-in budget saver. According to Sonex GM Jeremy Monnett, you can expect to easily build a Sonex for less than $40K unless you plan to install a state-of-the-art instrument panel. The Mustang II has always offered great performance for a limited (monetary) investment. Mustang Aeronautics President Chris Tieman says a willingess to spend time doing the airframe, avionics, paint job and interior yourself is key. Murphy Aircraft's Rebel is one of three models that can be built for less than $40K. 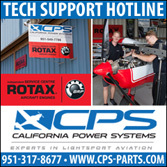 A Rotax 912 or used Lycoming is your best bet if you hope to build to our target budget. Mary Carlson of SkyTek says that none of the 60 flying Sparrow II XTC airplanes has cost more than $40K to build. All SkyTek kits, including the $18,000 II XTC, provide quickbuild components at no extra charge. 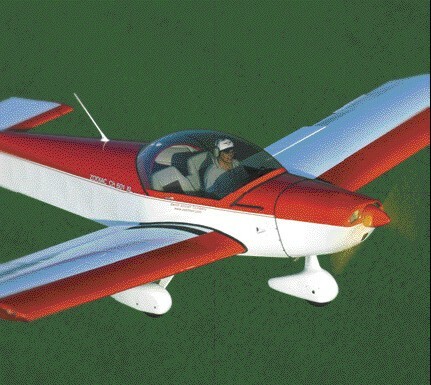 Wag Aero's Sport Trainer-an exact replica of the Piper J-3-has been offered since 1974. Builders have the option of installing the Continental A-65 or A-85; a rebuilt engine should keep the cost of the plane under $40,000. If you're willing to get a little creative, it's feasible that you could complete a Van's RV-9/9A for $40K. Choosing a Lycoming O-235 instead of the larger powerplant choices is a step in the right direction. Fisher Flying Products offers a number of two-place designs that are regularly completed for our target price even when a new engne is used and quickbuild options are purchased. The wood-based Dakota Hawk and the steel-tube RS-80 Tiger Moth (below) are two of the company's more popular choices. Yes! You can build and fly a "real" airplane for the cost of a new SUV. Contrary to popular opinion, airplanes don't have to be outrageously expensive-at least not all of them. 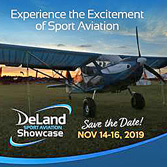 The Sport Pilot/Light-Sport Aircraft initiative is one program that promises to lower the cost of ready-to-fly aircraft. But many of these Special LSAs and Experimental LSAs will be priced well more than $40,000 and can run upwards of $85,000. One way to get airborne for less than $40K is to choose an ultralight, powered parachute or weight-shift trike. But if you want something more conventional, more comfortable or larger, you're likely to find what you want in the world of kit aircraft. After all these years, building an Experimental/ Amateur-Built airplane still qualifies as one of the least expensive ways to get a get a great airplane into the air on a reasonable budget. Our $40K benchmark is designed to narrow the field for builders on a budget-and that benchmark means a completed, ready-for-flight airplane. We're not going to play the marketing game and list $39,900 airframe kits that will approach or exceed the $100,000 mark by the time they're in the air. It's not an easy goal, but it can be achieved. To prove it, we'll detail more than a dozen interesting machines from across the spectrum. But what's so special about $40,000? After some contemplation, we determined that $40K provides the best estimate of what a typical, medianincome builder might be able to afford without being forced to sacrifice the rest of his or her life. In today's market, this figure might buy you a fine automobile or (extra-fine) motorcycle, a mid-level SUV, or even a small boat. If airplanes can remain in the same category, price-wise, as these other luxury items, they'll have a lot more appeal to that average builder. But to have a cross-country aircraft that's roomy and reliable for this sum of cash will take some effort. You may have to forego all the bells and whistles (high-tech instrument panels, luxurious interiors, award-winning paint jobs and souped-up powerplants), but the following kit manufacturers insist that you can reasonably expect to get these airplanes into the air for the target amount. We are assuming, however, that you're starting with an average stock of tools and a decent workshop to build in; starting from scratch can add thousands to any project. And we're omitting things like sales tax on the kit and local use taxes. To choose from the hundreds of kit aircraft available, we established some basic criteria for our selections. These rules weren't written in stone, but we tried to limit the field to proven designs that will appeal to the flying interests of a wide number of KITPLANES® readers. The Criteria To help define our target, we elected to specify a minimum cruise speed of about 100 mph-even though as a practical measure we all want more. Why this requirement? We figured that most pilots would want an aircraft that was capable of at least short crosscountry trips and one that would get them there faster than an automobile. Many otherwise highly enjoyable aircraft weren't designed for such speeds and were not included; on the other hand, reaching toward 200 mph will dramatically raise your powerplant and prop costs. We also searched for aircraft with interiors that invited two people of normal size (pilot plus one passenger) to fly for 2-3 hours in relative comfort. Many pilots will prefer side-by-side seating, but we included some tandem aircraft. We wanted full enclosures, the preference for most pilots who wish to pursue cross-country flying. Seeing America from an open-cockpit airplane is great in the summer and for short periods, but this kind of adventure eventually wears quite thin. And, for the purpose of staying within budget, we've eliminated any quickbuild kit options from the equation. Unless noted, prices listed and used in calculation are for the airframe alone with no quickbuild components or optional add-ons. This is where you save money, but contributing your own efforts to the cause. Most pilots prefer four-stroke engines. 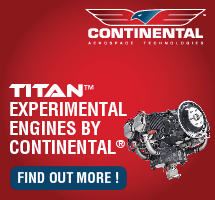 This eliminates many ultralight aircraft that make good use of the high power-to-weight ratio of two-stroke engines. When we limit ourselves to four-stroke engines, however, the powerplant cost alone can hit or exceed half our budget. You can choose an 80-hp Rotax 912 for about $12,000 or lower your cost significantly with the similarly powered AeroVee engine from Sonex, Ltd. for less than $6000 (it's a kit engine, so you have to build it). 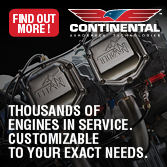 However, if you insist on Lycoming or Continental, a used engine will be required in all cases to keep within budget. Lycomings in particular are available in large numbers on the used market in various states of time remaining before overhaul. Other economic engine choices include the Jabiru line-the company's 120-hp 3300 model ($15,400) will lift any of the following aircraft without problems, and some will do fine with the 85-hp 2200 model ($10,400). Others may be interested in VW, Subaru and other auto conversions. Most pilots are awed by the impressive capabilities of fancy glass cockpit avionics. Ken Scott of Van's Aircraft says RV builders are installing more avionics than in the past: "With IFR panels, you can spend $40,000 in the panel alone," he said. With avionics consuming a substantial percentage of many builders' budgets, will you have to suffice with ordinary instruments? Probably not, unless IFR flight is your desire. New software-based electronic instruments are available that have far better prices for features even including attitude instruments. Some of these units are in the $3000 (or less) range for a surprisingly capable unit that also does not take up much panel space. Or, you can opt for only the necessary analog gauges and put together a functional panel on a really tight budget. Our Candidates But first, a disclaimer... Using the above criteria, we selected nine companies and nearly 20 aircraft models from a large field (more than 600 kit/plans aircraft are available). Winnowing this group to a few aircraft forced us to omit other choices. Consider this a sampler more than an exhaustive survey of what's available. Moreover, pay particular attention to our selection criteria so you can use it on models not presented here. Are you ready to build? Expand your search beyond these airplanes, but keep in mind some of the following points as they apply to many designs. As always, a good place to start is the 2005 Directory of Homebuilt Aircraft, Published in Kitplanes Magazinethe December 2004 edition of KITPLANES® and also available in electronic format at www. kitplanes.com. Our candidate list represents a wide range of types and design styles. The airplanes are not presented in any particular order-choosing the right airplane for you is ultimately a personal decision based on your individual situation. Zenith Aircraft According to Zenith Aircraft President Sebastian Heintz, "$40,000 is more than most of our customers spend on their projects. Ninety percent of builders keep it under $40K." Continuing the common theme heard while in researching this story, Heintz said the only thing that pushes the final price above $40,000 is the builder's choice of avionics. Heintz broke down the typical cost for a CH-601 or CH-701 (the latter Jeep-like airplane typically costing less because interior appointments and fancy avionics are rarely added): $12,000-16,000 for the airframe kit; $17,000 for Rotax or Jabiru powerplants with propeller and accessories; $1000-2000 for paint using a local auto-body shop; and anywhere from a few hundred dollars to $3000-4000 for upholstery depending on how fancy builders want their airplane to be. The 701's interior is typically simpler with some seat cushion and carpeting; the low-wing 601 might use leather or other higher-quality materials, which raises the cost. Assuming the averages, that leaves more than $5000 to devote to an instrument panel while allowing the builder to come in at less than $40,000. And Heintz says that builders can even take advantage of some of the company's quickbuild components with a target $40K maximum. RANS Aircraft With more than 1500 flying, one of the most popular light planes in the world is the RANS S-6ES Coyote II. The S-6ES features a Dacron wing and fuselage covering, which saves the need for paint-a built-in budget saver. The S-6S model is essentially the same airplane with dope and fabric covering. Another popular RANS model is the tandemseat S-7 Courier. Both the Coyote II and Courier airplanes can be built and flown for less than $40,000, one more easily than the other. An S-6ES kit costs $14,700. If you opt for the common Rotax 912, you'll add about $12,000 plus a $3000 motor mount kit for a total of around $30,000. Since you don't have to paint (unless you choose the S-6S) and because the interior can remain basic, you can spend the balance of your budget on propeller, instruments, avionics, radios, wheelpants and other goodies. In other words, it's pretty easy to stay within your means. One option-a thermal-formed interior-adds $650 but will greatly speed your interior finish. You can either select from the extras mentioned or order the quickbuild kit (about $5000 more) without breaking budget. The S-7S is the kit version of the much-refined C version of the Courier. It retains the keep-it-simple theory that company founder and leader Randy Schlitter designed into it from the beginning. Keeping the S-7S below $40K is possible but more of a challenge than with the S-6. The base kit costs $18,265. Add the same 80-hp Rotax 912 plus a $4000 engine install kit and you've spent about $34,000. That leaves $6000 for paint (this model is fabric-covered), propeller, instruments and other options. It'll be a tight squeeze and you'll have to do without many extras, but you can still build an excellent Cub-like airplane for the allotted budget. Both the S-6 and S-7 series aircraft began life behind two-stroke Rotax engines. And if you're willing to sacrifice horsepower and opt for a two-stroke, you'll have a lot more money left to devote to extras. Sonex, Ltd. As with all the manufacturers, my first question to Sonex General Manager Jeremy Monnett was straightforward: Is it possible to build any of your kits and get airborne for $40,000 or less? His answer? Yes, all six Sonex airplanes (the Sonex, Waiex and Xenos models, each with two engine choices) can be built for that amount. Monnett supplied a spreadsheet illustration (Figure 1) for specific cost breakdowns of the Sonex models. Each total price includes full paint and interior treatment and a Sensenich wood propeller, plus you can select most of the company's more popular amenities. 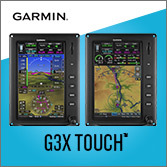 In coming up with these estimates Sonex allocated $2500 for a basic instrument panel that includes a Stratomaster EFIS system for instrumentation, plus a radio and handheld GPS. Improvements and additions must be factored into the leftover funds. "Unless they choose exotic or expensive avionics, nearly every Sonex builder achieves this ($40K benchmark)" during the build process, Monnett says. All specs and performance were provided by the factory and assume a conventional Mustang II kit with a 200-hp engine. Figures stated in the article were for Schmidtbauer's customized Mustang II. Yes! You can build and fly a “real” airplane for the cost of a new SUV. Contrary to popular opinion, airplanes don’t have to be outrageously expensive-at least not all of them. 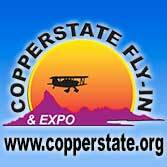 The Sport Pilot/Light-Sport Aircraft initiative is one program that promises to lower the cost of ready-to-fly aircraft. But many of these Special LSAs and Experimental LSAs will be priced well more than $40,000 and can run upwards of $85,000. One way to get airborne for less than $40K is to choose an ultralight, powered parachute or weight-shift trike. But if you want something more conventional, more comfortable or larger, you’re likely to find what you want in the world of kit aircraft. After all these years, building an Experimental/ Amateur-Built airplane still qualifies as one of the least expensive ways to get a get a great airplane into the air on a reasonable budget. Our $40K benchmark is designed to narrow the field for builders on a budget-and that benchmark means a completed, ready-for-flight airplane.